Layout 7: Christmas is so much fun with coordinating stamps! I never realized how much MORE fun memory keeping could be with COORDINATING stamps!!! 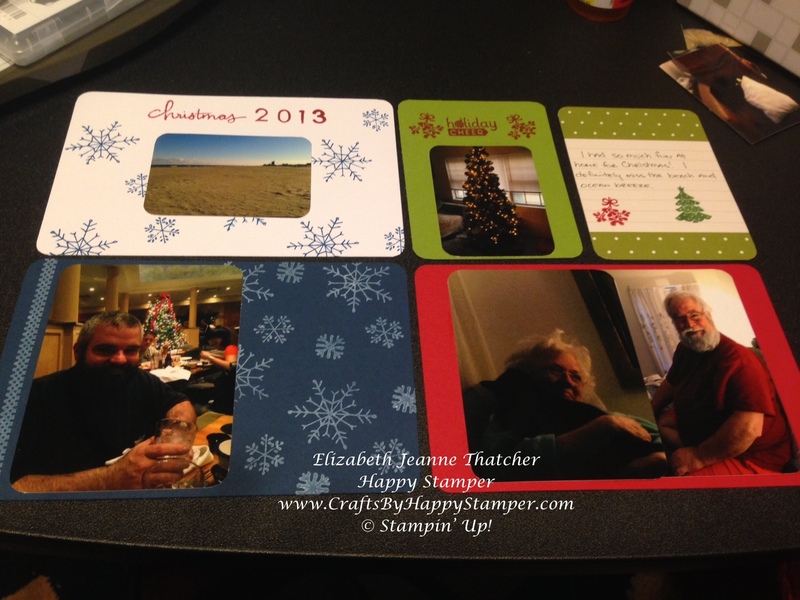 I used several new holiday stamp sets to make my first page of my Christmas 2013 memory keeping album! I wish I knew at Christmas that I was going to FINALLY start keeping better care of my photos because I definitely would have made sure to take more pictures! As you can see, I used my new stamps to make my own PL card backgrounds! You can see my beautiful Virginia Beach home on the left and my brother, Nick, to the bottom left. Our lovely Christmas tree is features on the right, and my mother and father are on the bottom right. Lets not forget, Rosie, who is trying to talk my mom into more treats by giving her kisses! 🙂 Doesn’t my dad look like Santa Clause?!? He gets stopped in stores sometimes! I hope you like the new stamp sets featured here! Please leave me any comments or suggestions! Next Day 8: TGIF Camping Time! Nothing from April 22, 2019 to April 27, 2019. Get updates on sales and deals with my weekly Newsletter!